This week, Your News to Know brings you the top stories involving gold and the overall economy. Stories include: How gold fares over the long run, India’s Paytm aims to sell gold worth $200 million this year, and Oroville Spillway emergency creates modern-day gold rush. Is gold really a positive investment over the long run? 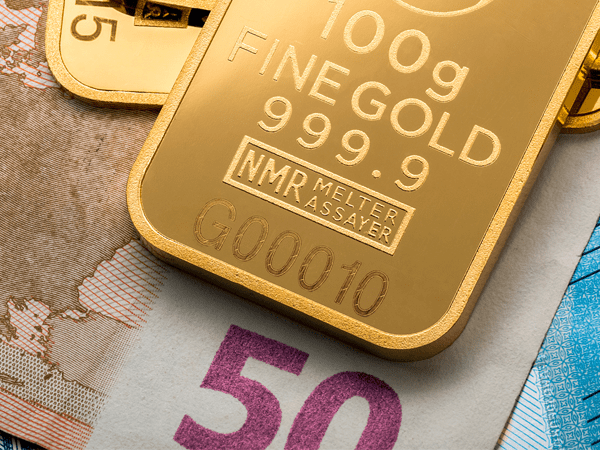 A recent analysis by Telegraph Money affirmed what most gold investors were already well-aware of – gold performs exceptionally well over the long run and against many different circumstances. The Telegraph’s analysis examined the performance of four portfolios against the FTSE World index from 1999 to today, ranging from a 95% shares/5% gold to a 50% shares/50% gold allocation. While shares performed better in the short term, those who stuck with gold saw significant returns over the long term, the highest of which came from the largest gold allocation. “Someone in the [5%] gold portfolio would be up [228%] since June 1999 before fees, compared to [321%] for the [50%] gold portfolio,” the Telegraph reported. The media outlet explained that gold prices held firm during the 2000-2003 stock market collapse, and even saw gains during the Iraq war and in the aftermath of corporate scandals such as Enron’s collapse. Likewise, the metal soared ahead of the stock index when the global financial crisis hit and continued to post record gains in the first few years that followed. “Over the long term it has paid to be gold,” stated the article. India’s Paytm recently made the news when it announced that gold trading would be added to its platform, significantly modernizing and easing the process of buying and selling gold in the country. Now, Reuters reports that the firm’s executives are aiming to sell $200 million of gold this year, relying on the metal to bolster their business model. The e-wallet service, which added gold to its offering at the end of April, plans to sell five tons of gold in the fiscal year to March 2018 due to high demand for the metal in the country. India ranks as the world’s second largest gold consumer, with an average of 800 tons imported every year. Indians use gold as a store of wealth, a way to protect their assets against inflation and as gifts at special occasions. “This is our way into wealth management,” said Krishna Hedge, a senior Paytm executive. The firm, which is backed by Japan’s SoftBank Group and China’s Alibaba, will allow gold trades starting from levels as miniscule as 1 rupee, or $0.0155. Paytm’s 225 million users will trade in physical as opposed to digital gold, with 24-carat bullion being sourced from a venture between Indian bullion importer MMTC and Swiss gold refiner PAMP. “This is actual physical gold that is stowed away in our vaults when you make a purchase,” said Hedge. While the Oroville Spillway emergency in California saw 188,000 people evacuated and the spillway sustaining significant damage due to flooding, some were able to extract an upside from the crisis. The debris kicked off by floods turned out to be spattered with gold, leading to a modern-day gold rush in the area. Although most prospectors’ gains have been relatively minor, ranging between $40 to $300, the area along the Feather and Yuba rivers has still experienced a significant influx of amateur gold panners. The latest gold rush renews interest for prospecting gold ore in an area that has historically been the home of many panners, with hundreds of thousands of prospectors flocking to the foothills of the Sierra Nevada mountains since gold was first struck at Sutter’s Mill in 1848. Over time, prospecting gold in the area became more and more difficult and gold panners were forced to switch from a simple method of scooping gold out of the water to more complex ways of extracting ore. A 1982 U.S. Geological Survey report estimated that millions of tons of gold are still embedded in Sierra Nevada’s rock, but most of it is either difficult to access or released in amounts too small to make amateur prospecting profitable.